Summer is on peak. Styling your outfit is probably the last thing you want to do now. 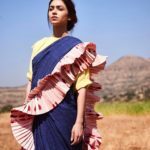 You might have even ditched all your fancy attires and would have sought the comfort of soft cotton and handloom sarees to beat the smoldering days. Dressing up might have been a thing of past. If you are already feeling exhaustive of this humidity and soul draining heat, then please do chill out. We have something for you to lift your mood. 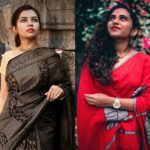 Off late, we spotted a cool blouse idea to try with cotton sarees and it immediately perked us up. Because, it can keep you trendy and fashion forward even on blazing heat. 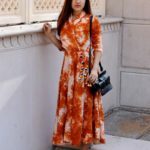 There is no denial that summer restricts your sartorial choices, however with a few tricks and hack, you can look as pretty as you want to be. Can’t believe? 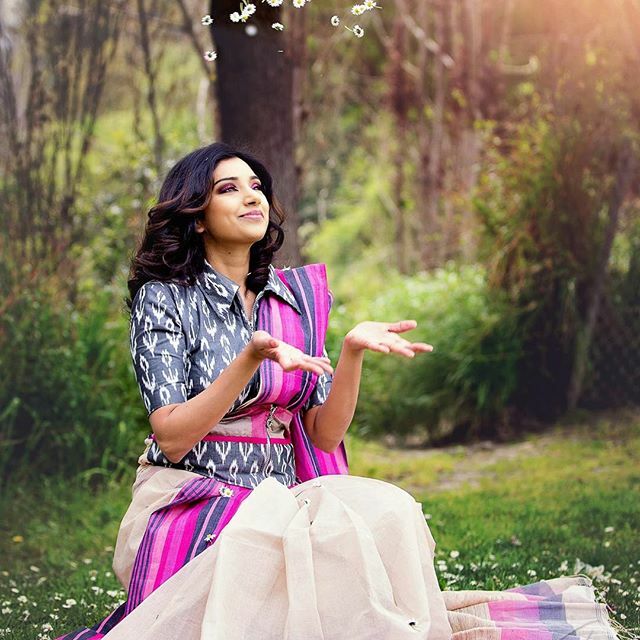 Then scroll down and take a look on how the promotional images of Vibha Boutique’s summer/spring collection made us to come to this conclusion. 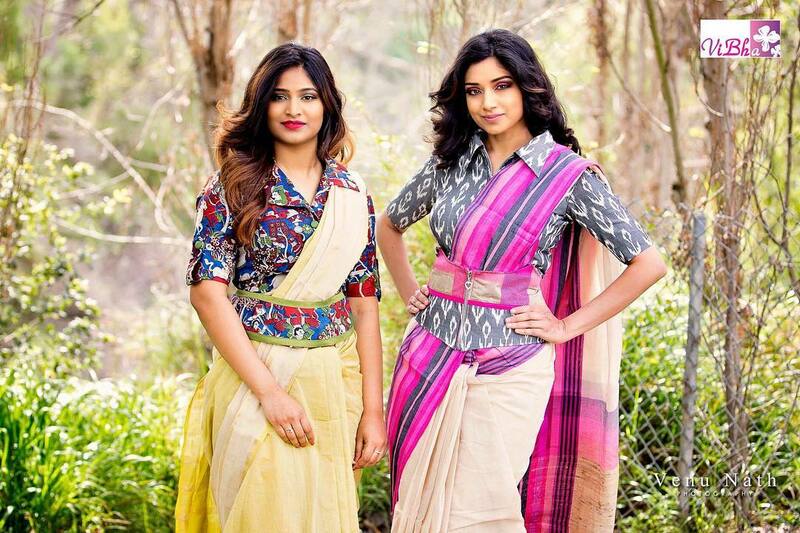 These pretty women are proof that with a simple cotton saree and apt styling, you can even make sun shy away from you. 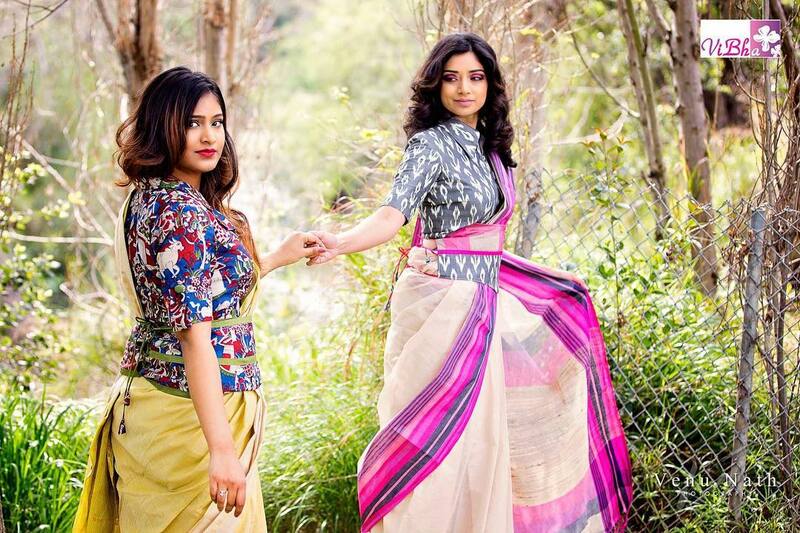 We love how the kalamkari and ikat blouse options have elevated these pastel hued sarees. It’s needless to mention the magic of chic collar neck, and creative tie-backs, on a traditional drape. And also, the right mix of colors… pink & grey, yellow & blue! So ladies, now you know what to do to break the boredom on summer days. 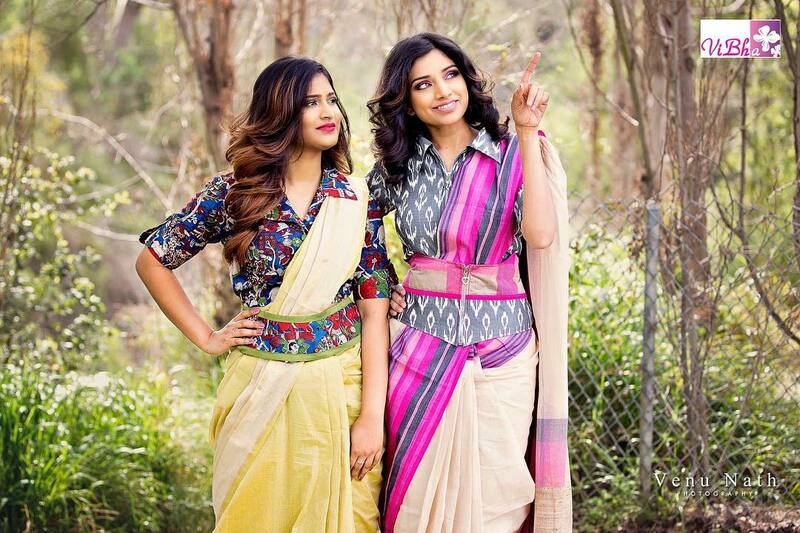 Grab your favorite cotton saree and pair it with kalamkari or ikat prints. 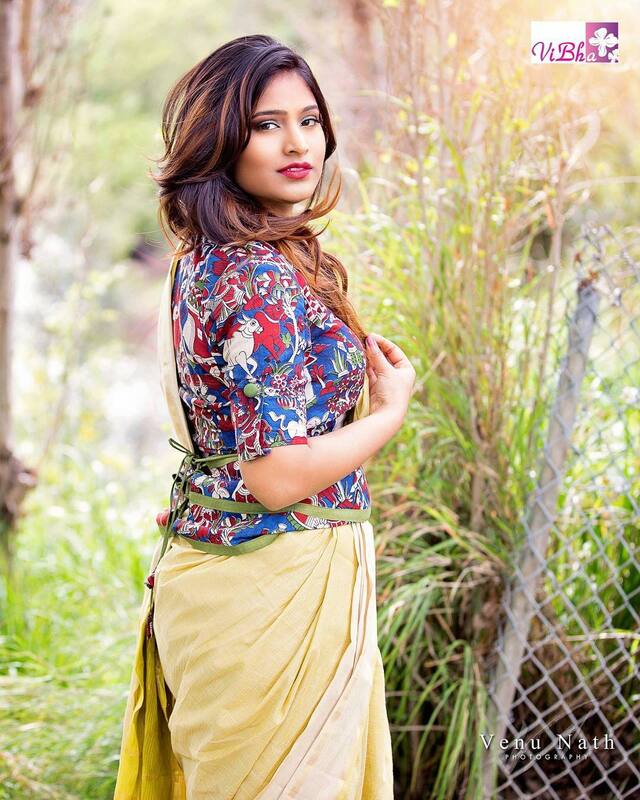 To look more edgy, go for voguish blouse models like the one styled by Vibha. 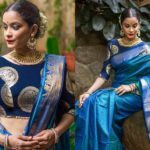 If, in case, you like to own the same saree and blouse, you need to reach out the designer below. Now tell us, how you are coping up this summer? Any specific dressing tips to save the day? 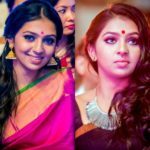 Share it with us on the comment box below.